My portfolio has some real-estate (RE) assets but not much. The only commercial real-estate that I have come to own (indirectly) is via public REITs (publicly traded real-estate investment trusts). I have been looking into adding a dose of commercial real-estate in my portfolio. 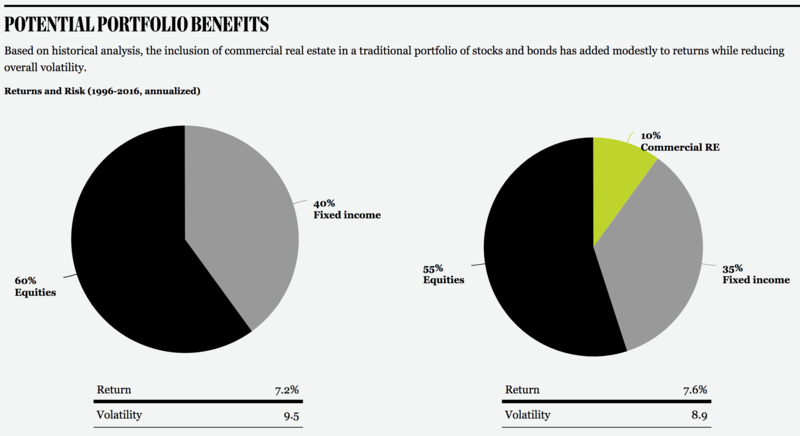 As this chart from Blackstone shows, adding some income-generating RE can reduce volatility of stock/bond portfolio. Commercial RE is not easily accessible to individual investors. It takes specialized knowledge and scale. And most commercial transactions run in seven figures or higher. My investing target is in low six figures, so direct ownership is clearly out of reach for me. Blackstone REIT: Enter the new Blackstone REIT called BREIT. It is a non-traded public REIT that invests in commercial real-estate. It is non-traded since it does not trade on a stock exchange and public as opposed to a private REIT that would not be open to general investors. Unlike most other Blackstone products, BREIT is meant for retail individual investors like me – not for institutional investors that are traditionally Blackstone clients. Blackstone just recently (in 2017) started offering BREIT to public. Since it is non-traded, investors can only buy/sell shares directly through Blackstone. The process of doing it is a bit cumbersome – by design I suspect. All transactions must be registered ahead of time and only take place once a month. Its share price is also updated once a month. The net result is an investment vehicle that is not designed to get in and out in short order. Investors are expected to buy shares and hold on to them for years. In return, they will get monthly income distributions and potential capital gains when they eventually decide to sell. Sounds pretty restrictive when compared to an exchange-traded security, but it’d suit my purpose just fine. I am a buy-and-hold type investor any ways – and real-estate assets are never expected to be as liquid as common stocks. Blackstone is arguably the best real-estate investor out there. They have a huge commercial RE business world-wide that caters to big institutional investors. They have a large and capable investing team who has grown this business tremendously over the last few years. So much so that Blackstone has recently promoted their head RE guy to become the company’s next COO. BREIT prospectus says that this retail REIT’s investment decisions will be overseen by the same group that manages their institutional real-estate private equity funds. This really appeals to me. As I previously wrote in my detailed analysis of Blackstone, I have great respect for its management team. I own Blackstone shares in my portfolio. From its prospectus, BREIT invests in stabilized commercial properties i.e. those that have stable rents at market rate and require minimal capital improvements. This is rather unexciting but relatively safe and stable income-producing RE category. This is the advantage of being a very large player in the real-estate investing business. Blackstone has a large RE operation already in place in the field and that gives them an edge over smaller RE investors. BREIT Investing Fees: The story looked good so far. That is, until I checked out its annual fees. Similar to private equity investments, this REIT also has both management and performance fees tied to it – 1.25% and 12.5% respectively. Investors have to pay 1.25% of their invested capital every year. And then if the fund’s performance is above 5% in a year, management will take 12.5% off of the annual gain. For instance, if BREIT returns 6% next year then the fund will take 12.5% of that 6% return – resulting in 5.25% return for us. It turns out that there are four share classes offered by Blackstone – each with their own additional cost overhead. Two of the four classes have pretty hefty front-loaded sales commission of 3.5%. This is a one-time transaction fee. On top of it, there is also a recurring servicing fees of up to 0.85% per year. You can think of these charges as similar to how traditional load mutual funds of the 1990’s used to charge (front-end load and 12b-1 expenses). The two fees combined would set me back by 4.35% in the first year – and then 0.85% every following year. Now, that would a hard pill to swallow – especially considering that we are dealing with relatively staid real-estate returns here. This ruled out Class S and T for me. Class I would not cut it either since it had a minimum $1M investment hurdle. Undeterred though, I decided to explore if I could invest in Class D shares through my brokerage account. You can see from the table that D shares only have a 0.25% annual servicing fee. I have brokerage relationships with several big discount brokers (Fidelity and Charles Schwab among them). They both support investing in private REITs. I went with Fidelity and had them call BREIT to see if they could access class D shares for me. It turned out that class D shares are only available for wrap-fee accounts. As you could guess from the name, these accounts have additional fees associated with them – the kind of thing that I was intent on avoiding in the first place. To buy class D shares, I would have to either hire a full-service investment advisor or open a wealth-management account with some big wire house (like UBS or Morgan Stanley, etc.) In either case, I’d end up paying them for managing my portfolio in form of commissions and/or fees. 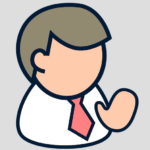 But here is my issue – I am not in need of any of the services that these advisors provide such as financial planning, estate planning, portfolio management, etc. Neither am I interested in paying them hefty fees (usually on the order of 2.5% of assets) for such services. It’s a steep premium to pay just for the privilege of gaining access to BREIT shares. In Conclusion: It appears that Blackstone’s target clients do not include DIYers like me who manage our own portfolios and use discount brokerages. Perhaps they will eventually create products that cater to our needs – after all this BREIT was their first attempt at breaking into the retail investors’ world. Really, it was more like the industry’s first stab at it. I am looking forward to more such REIT products from them. But until then I am looking elsewhere. BREIT, as I sadly found out after considerable research, will not cut it for me. Its overhead expenses are too high to justify a place in my portfolio. For now, I am sticking with exchange-traded public REITs. I already own some public REITs (like American Towers and Simon Property Group) and now researching others to add to my portfolio. You will see an update on them in an upcoming post. I asked Charles Schwab’s team about them, they only provide access to Starwood’s REIT via their alternative investments group. To qualify you must have $250k worth of non-alternative investments (with Schwab) and they also charge a hefty “maintenance” fee (flat amount, not percentage) on top of the REIT fees. Thanks for the leads. Check out Fidelity also. They have no maintenance or transaction fees for alternate investments like REIT but investors must have a minimum of $1M invested in non-REIT assets with them. I have mostly been focused on public REITs these days. Most public REITs are selling at a discount to private assets. 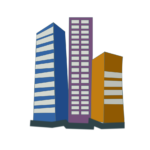 See my recent posts on commercial real-estate. The $1M with Fidelity is steep! In general after all my research on the topic of private REITs I concluded that simply investing in publicly traded REITs and related businesses for exposure (e.g. credit financing for RE, home builders, etc) is a lot easier and cheaper for the average investor. Too many hoops, minimums, fees and other blockers for the good private REITs (Blackstone, Starwood, Oaktree, etc) otherwise. Having said that, I have had a good experience with Fundrise for the past couple of years and continue keep some money there as well. After RealtyShares shut down, it seems to be the only “private” option available to the average investor if somebody really wants to explore that option. I don’t (yet) trust these online crowd-sourced real-estate ventures. They are too new and unproven. It’s good that you are wary of the crowd-sourced real estate. Realty Shares just went under. Some of the others like Crowdstreet are different. They hook you up with sponsors and then they’re pretty hands off. But then if something goes wrong with the sponsor, you have to hire an attorney or something. So with Crowdstreet you don’t have to worry about the platform going under but now it moves to the sponsor. Public REITs bother me because of their liquidity and artificial pricing. In years like 2008 they lose an incredible portion of their price simply because Public REITs are liquid and people sell them at discounts to get out. Private REITs you only lose money if the real estate loses money. I know the public REIT price will come back but I still don’t like it because the price can take a long time to come back. Thanks for the tips on Starwood and Oaktree. I’ll have to check them out.